Windows, a Microsoft product offers variety of services along with its PC system. Currently, Windows is the best and probably the most favourite PC operating system available in the tech market. Apart from the other OSs, Windows OS has got all types of PCs and Laptops starting from lower range to extreme high range. Fortunately, all kinds of people can own a Windows product as it has numerous varieties in it. Apart from that, there are people who have been using a Windows PC have always a common question about a Temporary Profile. Sometimes what happens is you automatically logged into your system with a Temporary profile. To fix this problem, following we have made a complete tutorial just for you. 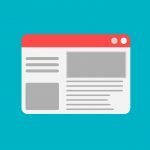 If you have the same problem of a temporary profile in your Windows OS, it is the right time to get it fixed. Details are as follows! Temporary Profile problem occurs due to a software interruption problem in your system. To fix this problem you can do some simple tricks. If yet, the problem stays there, you can get it solved by changing the registry settings of your PC. Following steps will teach you all the methods in a well manner. Make sure that you are following the steps correctly! Let’s get started with the tutorial. As we did mention above that this problem takes place due to an internal interruption, so you are requested to restart your system for like say twice or thrice and see whether the problem gets fixed or not. If not, go to the further step. Check if your system got caught by a virus. To fix this error, you can scan your entire system for as many time as you can until the virus got caught. This error sometimes can be fixed easily with the scanning process instantly. Wait until the scanning process gets done completely. Now, check if the problem gets fixed yet or not. If not, kindly follow the below step. Scan your system storage device properly. Like most of the system files saved in C drive of a PC’s hard drive. Scan it properly and you would get all the corrupted files. You can delete those files manually by selecting a delete option, using your mouse. After this, make sure to check the problem is being fixed or not. If not, follow the next step. Go to your system’s Command Prompt Window. If you don’t know how to open it, go to your PC’s start menu and search for Run option. In the given box type cmd and hit the Enter button. It will give you a Command Prompt window. By using your PC’s Keyboard, enter the following command into the Command Prompt Window. This process will scan your internal files and if there’s any error it will automatically fix it up. By following the above process, all the corrupted files and other irrelevant things will be replaced with proper original files itself. You don’t need to do anything else and see whether the problem is still there or not. If there’s still a problem found, you got to apply one more and last process by changing the registry key of your system. See, how you can fix it up. 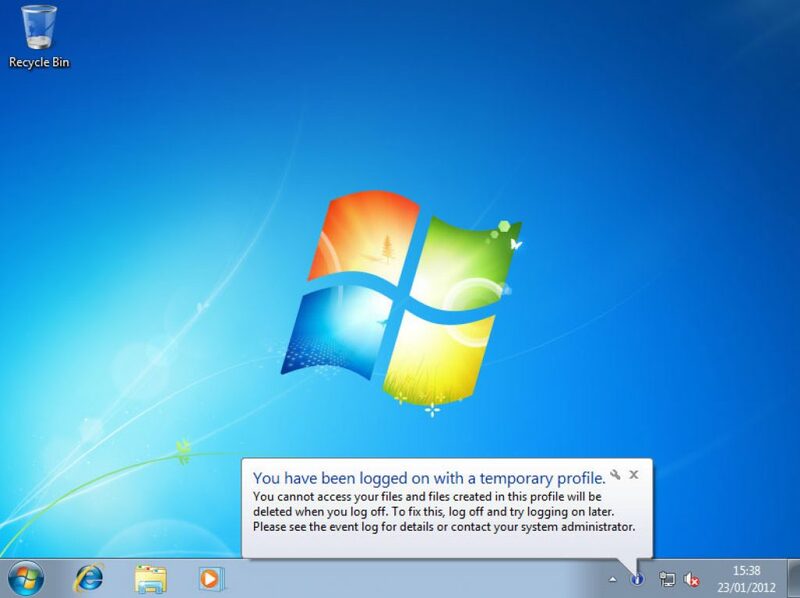 Login with another Administrative account of your PC. So that you will be allowed to make changes to your PC. Now, after being logged into a particular account, go to your system’s Registry page. You can search it up into the Start menu or add regedit this command and hit the enter button to open the Registry window. In the registry window you can see a number of different files of your system. Search for the file with .bak extension at the end. If there’s no file with .bak extension, you are requested to add .bak extension at the end of the key. Your key would like the below one and hence change the registry key manually with .bak extension. See the below example. You’re done! By now, go to your start menu and let the system be start again. Click on to the Restart button. See, you’re logged in with the original profile of yours. You have fixed the problem correctly! What’s your take on this? Have you faced this problem ever? Do share your thoughts and experiences with us. Meanwhile, if you have any queries or problems found, feel free to let us know. For that, put your valuable words into the below comment sections. We would like to interact with you. Your suggestions and feedback are more than welcomed! Till then stay tuned with us and get all the very useful tips and other technology related stuffs on the go!